I cleaned out my cookbooks and I’m giving two of my favorites away! 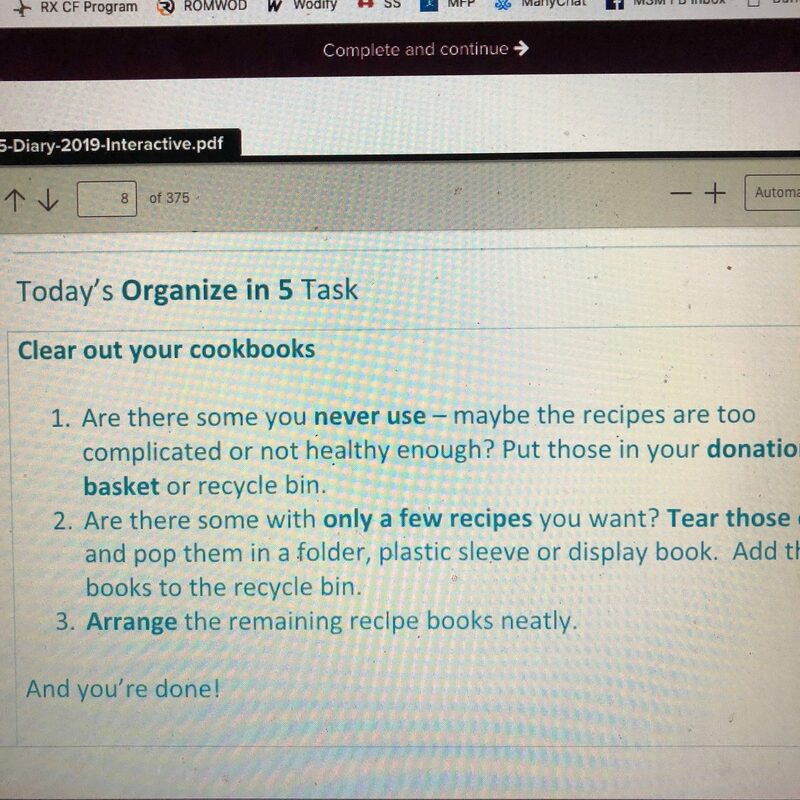 I told you all that I’m using the Organize in 5 Diary in 2019 to whip my house in shape. It’s a digital download that gives you a 5-minute organizational project for every day in 2019. Psst! If you haven’t purchased the Organize in 5 Diary, you can get it for just $9 here. 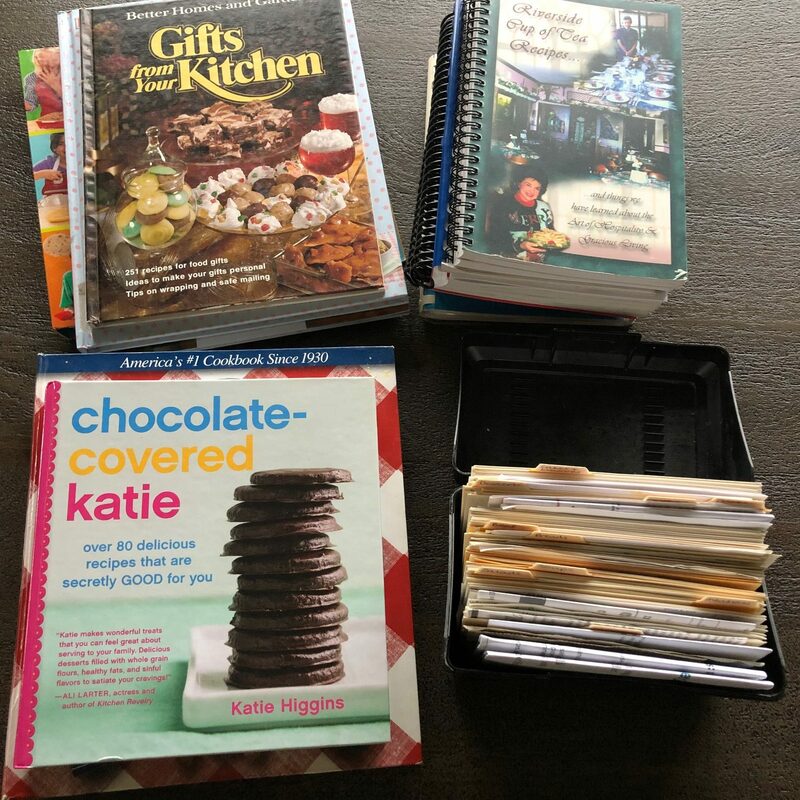 Today’s project for the Organize in 5 Diary was to clear out your cookbooks. While I don’t have a lot of cookbooks, it’s been a long time since I’ve gone through them. 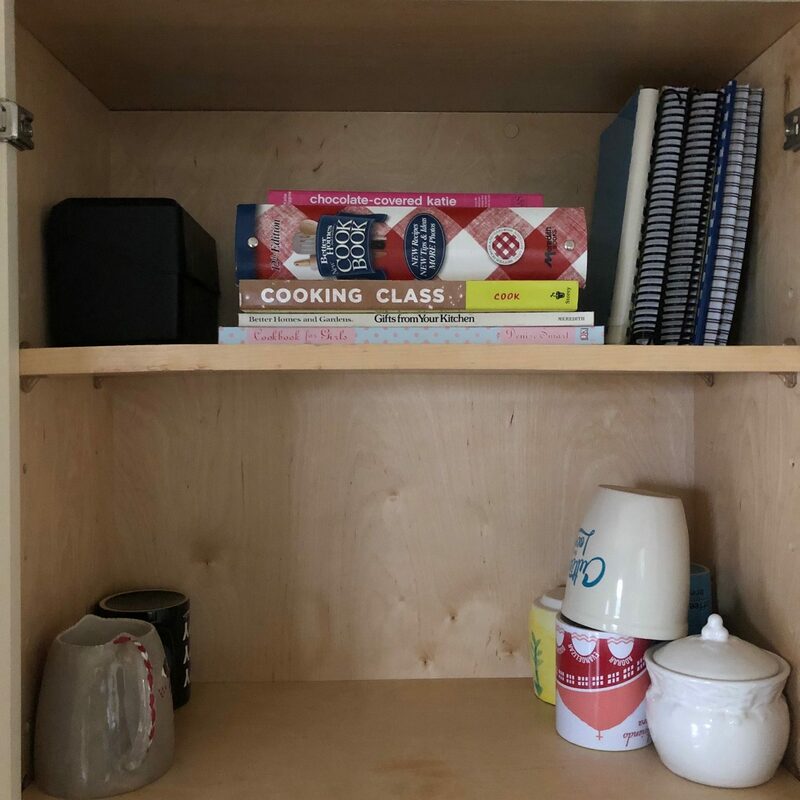 There were a few loose recipes that I got rid of or added to my recipe box. 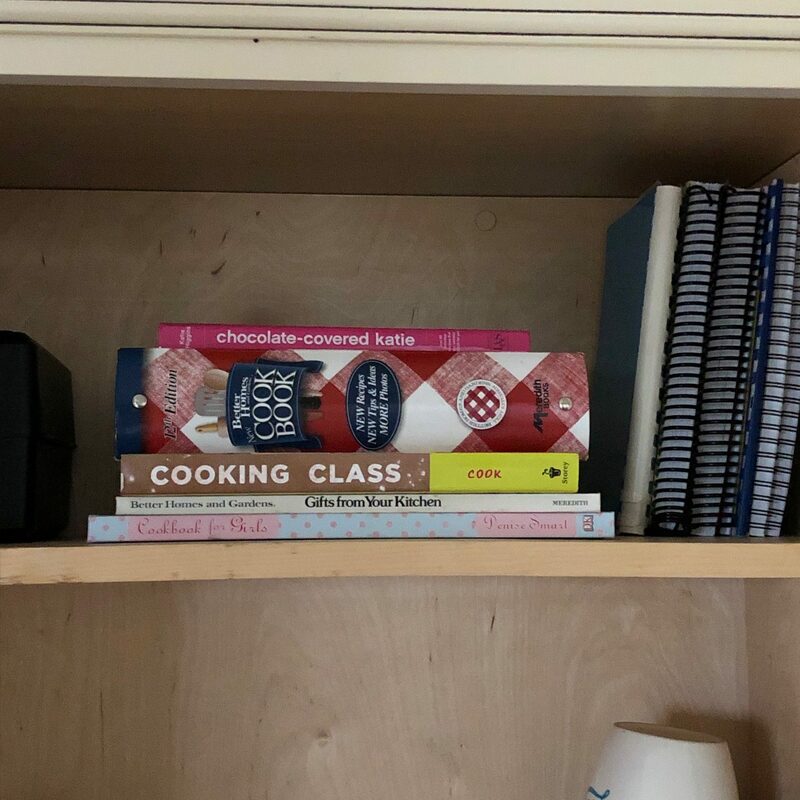 And I looked briefly through each cookbook to decide whether I wanted to keep it. I also went through this recipe box. 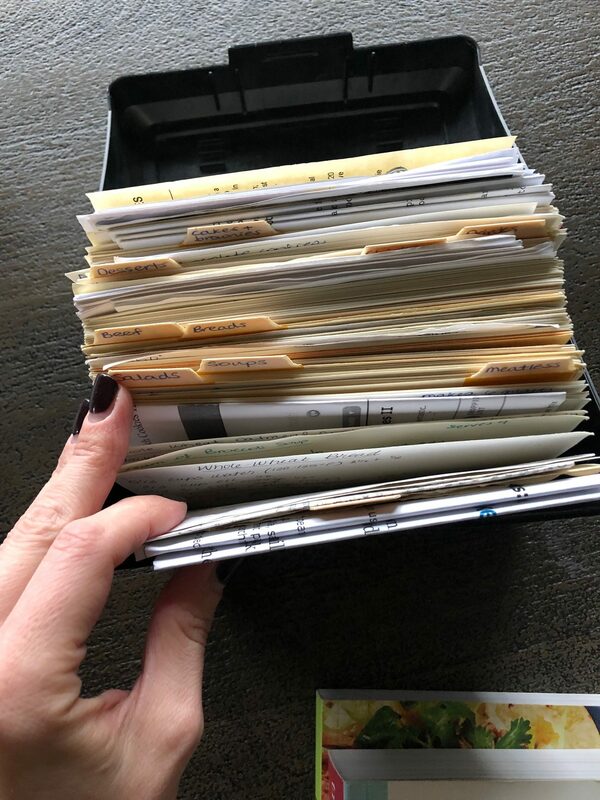 It was full of so many special memories — so many of the recipes were handwritten down for me by friends and family before I got married almost 16 years ago. Everyone included their names on the recipes and it was a wonderful walk down memory lane to look the recipes. There were a few printed out recipes I tossed out and some I had added to the box from various places that I decided to also toss since they didn’t look like ones I would ever make (I’m not even sure where all the various printed up recipes came from!) Of course I didn’t toss any of the handwritten recipe cards. Chocolate Covered Katie — We use this one often and I love so many of the recipes in this cookbook! Gifts From Your Kitchen — This one is a really special one to me because some of the really special occasion recipes we made growing up are in this one. Better Homes & Gardens Cookbook — This is the one cookbook I think everyone should have in their kitchen! 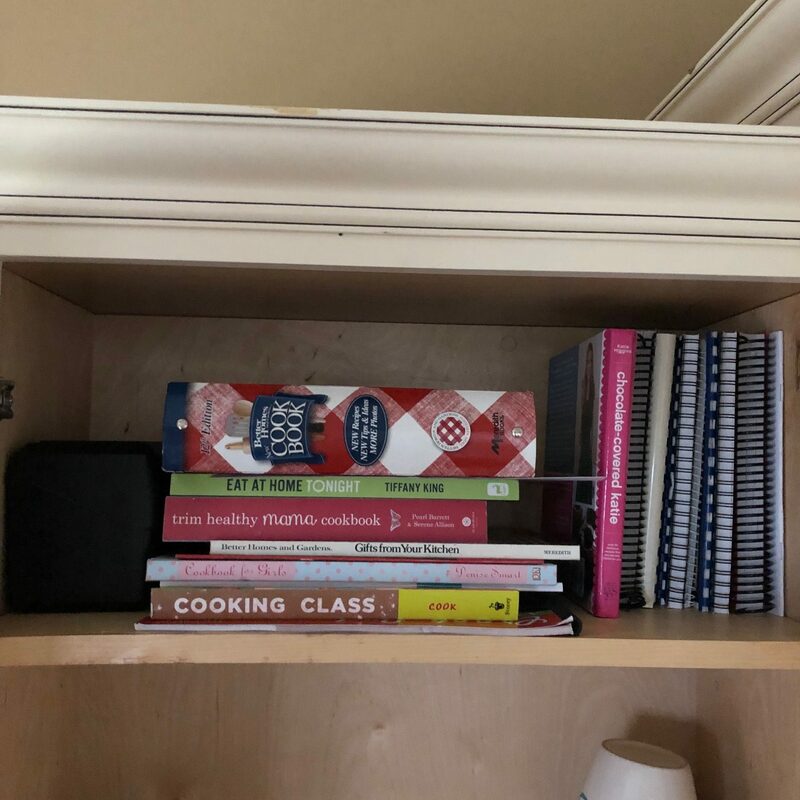 Cooking Class — This is Kaitlynn’s cookbook. Cookbook for Girls — This is Kaitlynn’s cookbook. Want to Win 2 of My Cookbooks? 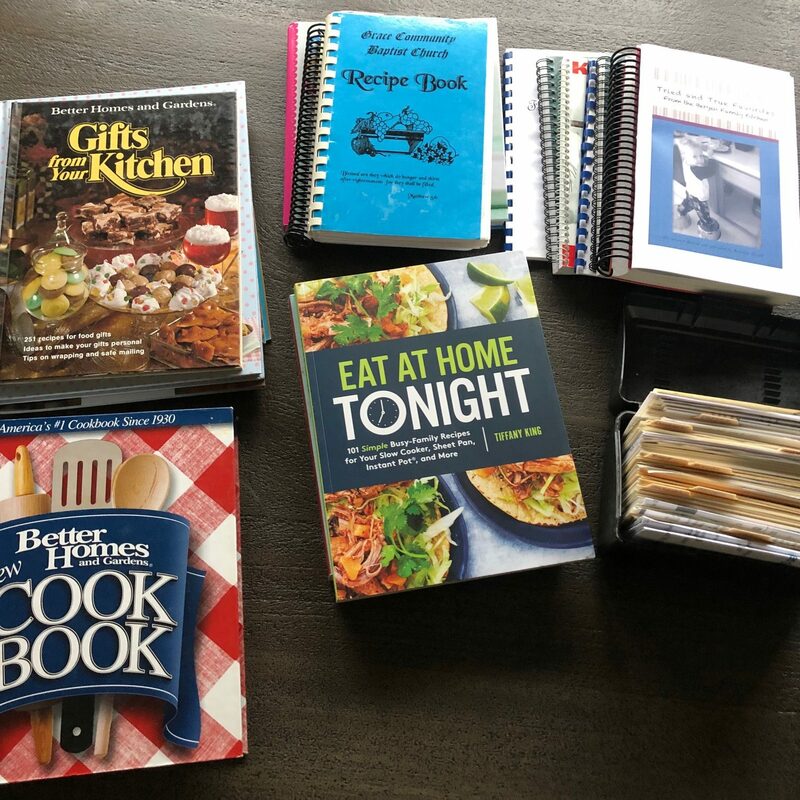 I decided to give these two cookbooks away to one of you… they are cookbooks I love, but most of the recipes I regularly use in them I have memorized, have printed out, or can easily pull up online. I figured it’s time to pass them onto one of you! 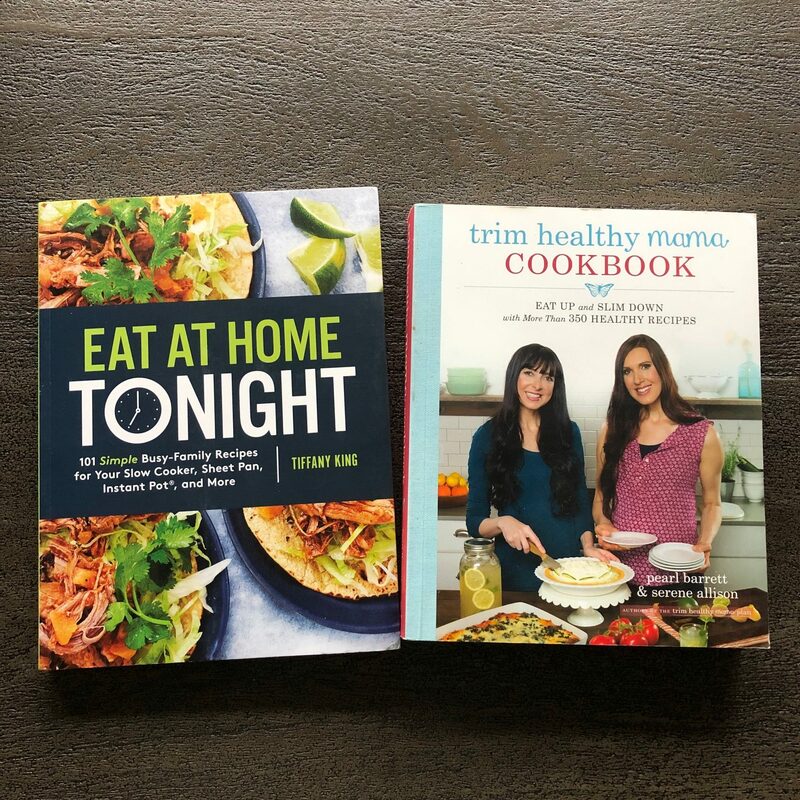 Would you like to win a copy of Eat at Home Tonight and Trim Healthy Mama Cookbook? Just leave a comment on this post and I’ll choose one winner on Friday and send them out to you. Next articleHow Many Colleges Should I Apply to, by Cost of Application? Worried About the Stock Market and Your Retirement Savings? Read This. AncestryDNA Genetic Testing Kit for just $49 shipped!